This dish is like a delicious cuisine from two cultures. 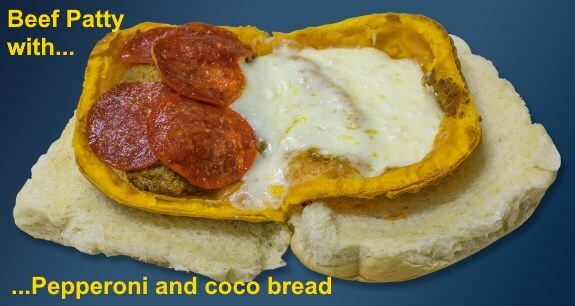 If you love beef patties with coco bread you'll love it with a Latin twist together with pepperoni! yummm! This article and picture in it is making me hungry now. I am ordering now. And i don't i have a feeling that it will be great. Btw i look the chef in your logo. Lol! Great work!